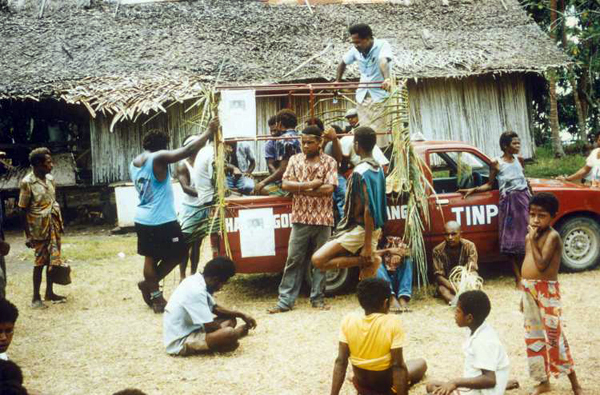 Tinpis Run (Pengau Nengo, 1991). 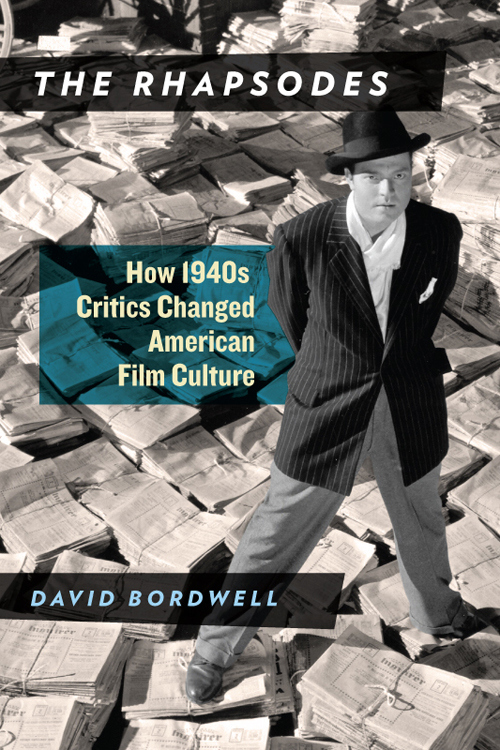 Apart from things I’m reading for research (academic monographs, 1940s Hollywood novels, star bios and autobios), the film books I like best are blends. They bring together information, ideas, and opinion. I learn some facts about films and their contexts. I encounter some concepts that illuminate those facts. And I get introduced to some arguments about the best way to understand the information and ideas. In my ideal world, the blend winds up answering some questions—maybe questions I’ve thought about, maybe ones that never occurred to me. 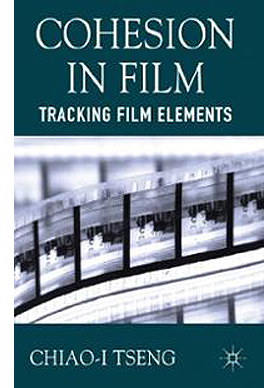 I especially like books that have one foot, or toe, in filmmaking practice. The poetics of cinema I try to practice is, from one angle, an effort to grasp the principles underlying filmmakers’ creative choices. Sometimes those choices are announced by the filmmakers; sometimes we have to reconstruct them on the basis of the films and other data. So for me a drastic split between theory and practice isn’t very informative. These pronunciamientos are but prelude some comments on books that push several of my buttons. Maybe they’ll do the same for you. Stagecoach (1939); True Grit (1969). What book brings together Cézanne and Tony Soprano, Gregory Peck and Simone de Beauvoir, Plato and South Park, The Twilight Zone and Wittgenstein? Okay, I know the answer: Practically every book by a littérateur convinced that Great Big Theory gives you a way of talking authoritatively about anything, especially pop culture. So I rephrase my question: What book brings together these and many more items with care, rigor, and infectious amusement? That narrows the field quite a bit. A strong candidate is a book that has chapters like “What Mr. Creosote Knows about Laughter,” “Andy Kaufman and the Philosophy of Interpretation,” and “The Fear of Fear Itself: The Philosophy of Halloween”— not the movie but the holiday itself. The short answer to my question: Noël Carroll’s new collection of essays, Minerva’s Night Out: Philosophy, Pop Culture, and Moving Pictures. Noël Carroll isn’t merely the most important philosopher ever to write about popular culture. 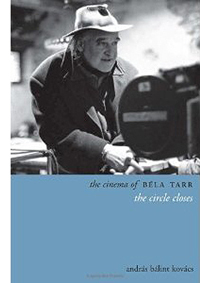 He has been for decades a major force in film theory and criticism, as well as a philosopher making contributions to moral and legal theory, historiography, and a welter of other areas. His fertile mind and prodigious typing skills have combined to produce over fifteen books and a list of articles running to triple digits. It’s not just quantity, of course. 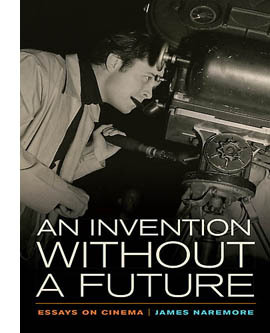 For those of us in media studies, Carroll has been the most well-informed and adroit analyst of trends in film theory. 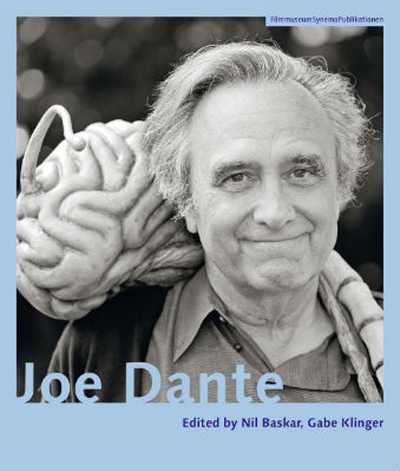 His Philosophical Problems of Classical Film Theory (1988), Mystifying Movies: Fads and Fallacies in Contemporary Film Theory (1988), and Post-Theory: Reconstructing Film Studies (1996, coedited with me) have proven enduring contributions to the debates about the best ways to understand the nature and functions of cinema. He is, as you can tell, a controversialist. Like all good philosophers, he’s devoted his life to getting the ideas right. Over the same period, Carroll has proven himself a wide-ranging practical critic, discussing classic silent films (especially comedy), modern avant-garde work, and Hollywood movies from the 1930s to the most recent releases. This isn’t to slight his important work as a dance and television critic as well. 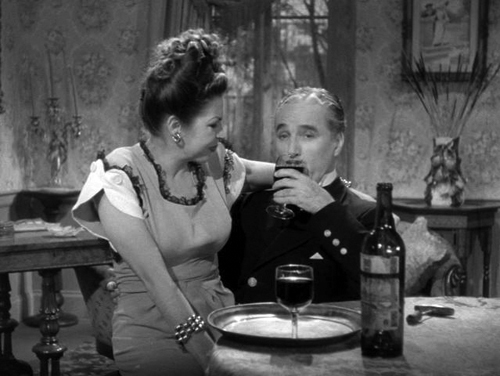 This focus on film theory stems from the fact that Noël’s first Ph.D. degree was in film studies. But soon afterward he went on to get a second Ph.D. in the philosophy of art. His cinema research was always philosophically informed, but once he became a card-carrying philosopher, he commuted between two academic areas. He helped found the broader movement called Philosophy of Film, and he continues to write on a lot of different topics. His Humour: A Very Short Introduction is due out in a couple of weeks. 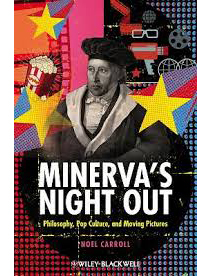 Minerva’s Night Out scans the range of his interests—not only all types of media (which he genuinely enjoys) but a variety of the philosophical puzzles they pose. These he tackles with verve, patient but not plodding analysis, and a range of references that make you wonder if this guy has seen and read pretty much everything. Here’s the sort of thing that Noël thinks about. We all know that to enjoy a movie fully we often have to appreciate the way in which a star’s performance builds on previous roles. But there’s a problem. The fictional world of a film makes only certain types of knowledge relevant to our experience. At the center of this knowledge is what Carroll calls the “realistic heuristic,” the premise that all other things being equal, the things happening in the fiction are assumed to operate under the laws of our everyday world. Sherlock Holmes (whether incarnated by Basil Rathbone or Benedict Cumberbatch) is presumed to have lungs like the rest of us, unless we’re told otherwise. Likewise, it is true in the fiction that a room’s walls are solid, while they might in reality be fake. If I see the walls as painted sets or green-screen mattes, then I’m not responding to them as part of the story world. 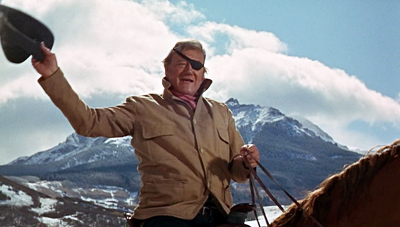 Similarly, movie lore connects the Ringo Kid of Stagecoach to Rooster Cogburn of True Grit (the original) because John Wayne portrays both. Yet the characters live in different, sealed-off story worlds. Ringo and Rooster have no knowledge of each other. Barring transmigration of souls, how can their connection be part of our experience of either movie as a consistent fiction? Carroll comes up with an ingenious explanation. Movies summon up star personas in the manner of allusions. 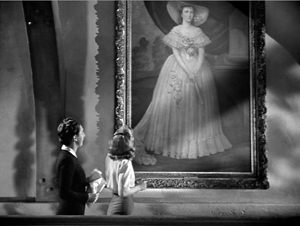 Just as our experience is enhanced when we see a movie refer to another movie—Carroll’s example is a citation of Rocky in In Her Shoes—so do our mind and emotions respond to the presence of the star, as either a continuing allusion throughout the film or a one-off one, as with a cameo or walk-on. As he often does, Noël points out that practicing filmmakers use the concepts he elucidates. “Allusive casting” became part of the 1970s trend of paying homage to old Hollywood, but even in the studio era it wasn’t unknown. 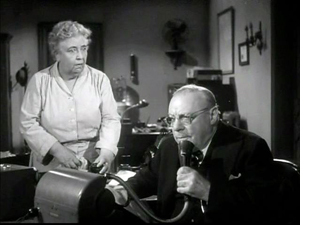 Carroll points to The Bigamist (above left), in which somebody says another character looks like Edmund Gwenn. Of course said character is played by Edmund Gwenn. What if anything justifies us talking about popular culture as all one thing? How do fiction films engage us in the emotional lives of their characters? Hint: It’s not through identification. What makes us laugh at Mr. Creosote, rather than be horrified or disgusted by his vomit-laced gluttony? How does a tale of dread, such as Poe’s “The Black Cat,” differ from a horror story? Why should we care about Tony Soprano, who barehanded commits “crimes of which I don’t even know the names”? Are the feelings awakened by art akin to friendship? What role do moral emotions, such as the sense of community, play in our response to characters? The human eye rarely fixates; saccadic eye movement is the norm. We did not suddenly become attention-switching flâneurs in the late nineteenth century; we have been natural-born flâneurs since way back when. No amount ot cultural conditioning will succeed in making normal viewers worldwide literally see human faces as cross-sections of centipedes. I’m sure he’d give any indie filmmaker the rights to make Natural Born Flâneurs. 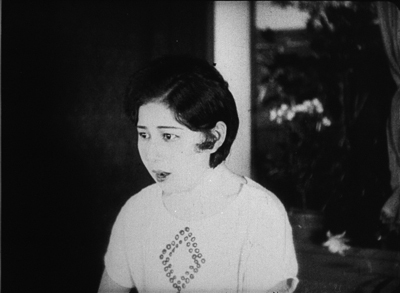 Natsukawa Shizue in Town of Hope (Ai no machi, 1928). Carroll tries to figure out certain logical conditions on spectators’ experience in general. That’s one province of film theory. But he’s also sensitive to the constraints on those conditions, the ways that historical and institutional circumstances can shape how viewers watch movies. (That’s part of the star-as-allusion argument.) Other researchers, historians by trade but sensitive to theoretical implications, have tried reconstructing the activities of theatres, trade personnel, and audiences in particular times and places. A good cross-section of approaches has just appeared from Karina Aveyard and Albert Moran. 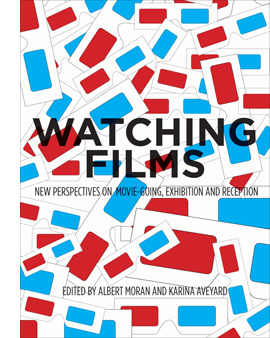 Their anthology Watching Films: New Perspectives on Movie-Going, Exhibition and Reception contains 22 chapters of empirical research spread across the Europe, New Zealand, Australia, and the U.S. The researchers take us to particular cities and towns (Antwerp, Nottingham, and the Scottish Highlands) and to various points in history, from the 1920s to the present, passing en route the arrival of TV and the effects of the VHS revolution. There are also considerations of early reception theorists like Barbara Deming, along with studies of fan activities in Italy and elsewhere. Altogether, you couldn’t ask for a more enticing sampler of contemporary strategies for studying how audiences interact with cinema. Multiplicity long preceded the multiplex. A similar approach, but focused with razor acuity on a single country and period, is Hideaki Fujiki’s Making Personas: Transnational Film Stardom in Modern Japan. 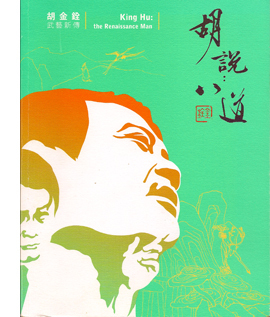 This book is an expedition into a nearly sunken continent, Japanese film of the silent era. Frustratingly few films have been preserved from those years, but paper documents abound. Fujiki has made intense use of them to answer the question: What were the cultural causes and results of the early star system in Japan? The answers are rich and detailed. The very first stars weren’t on the screen at all; they were the benshi who narrated the silent program. Hideaki goes on to trace the career of the paradigmatic male star, Onoe Matsunosuke, and to show how his main traits (virtuosity and stature as “great man”) were reinforced by a troupe-based business model. 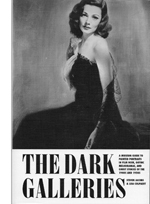 Later chapters focus more on female stars, with emphasis on the influence of American actresses like Clara Bow. The flapper figure shaped not only Japanese female performers but women in real life. 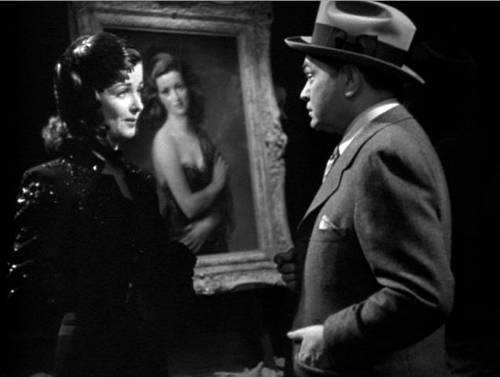 Fujiki traces in some detail how the “modern girl” or moga floating through Ginza owed a good deal to Hollywood movies. He makes good use of what films survive from this period, particularly The Cuckoo (Hototogisu, 1922) and Town of Love (Ai no machi, 1928). In-depth analysis of the star image Natsukawa Shizue, above, allows him to discuss fan culture and movies’ role in accelerating trends in fashion and advertising. In all, Making Personas is a fascinating consideration of stardom as both an industrial and social construction in one of the world’s most important national traditions. Institutions of another sort feature in two impressive books from the prolific Mette Hjort. She has had the very good idea of assembling documentation about how film schools work. How do different schools, academies, and more informal agencies understand the craft of filmmaking? What ethical values and social commitments are brought to the classroom and enacted in the production process? What are the histories of film schools around the world? 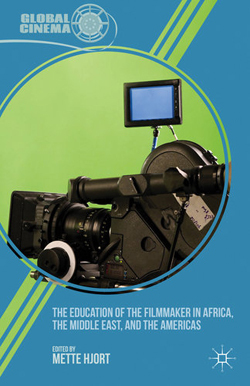 The answers come in two packed anthologies, The Education of the Filmmaker in Africa, The Middle East, and the Americas, and The Education of the Filmmaker in Europe, Australia, and Asia. From these we learn of the creative practices put into action by institutions in Nigeria, Palestine, Denmark, the West Indies, China, Hong Kong, Vietnam, Sweden, Germany, Australia, Japan, and many other localities. We get a real sense of intercultural communication and its breakdowns. Rod Stoneman points out that Tinpis Run, Papua New Guinea’s first indigenous feature, demanded postproduction discussions when outsider viewers couldn’t distinguish the villages presented in the story. Things happen in these places that would astonish students at UCLA and NYU. Hamid Naficy tells of taking his Qatar students to Tanzania, where they worked on research projects only after spending the morning doing clerical and custodial work in schools and hospitals. We learn of children’s filmmaking initiatives in Mexico City, programs for at-risk youths in Brazil’s City of God favela, and students making photo and sound montages in Calcutta. One purpose of Mette’s collections is to remind us that film training goes far beyond getting your MFA and a showreel on a maxed-out credit card. Hjort’s initiative, while already stimulating, ought to be continued and enriched. People are starting to understand the importance of film festivals within film culture—as distribution mechanisms, publicity arms, and in a roundabout way feedback systems shaping production. (One essay, by Marijke de Valck, points out the move by festivals toward film training.) More generally, we need to understand film education at all levels as shaping film production and film audiences. Hjort’s introduction emphasizes that institutional politics are always related to larger political and cultural concerns. Social implications of filmmaking are brought to the fore in another emerging area of research. As each day seems to signal a new ecological disaster, it’s timely that a critical school has emerged to track how films and TV represent our relation to nature and technology. Among the scholars working prolifically in this area are Robin L. Murray and Joseph K. Heumann. Their first book, Ecology and Popular Film: Cinema on the Edge argues that apart from films like An Inconvenient Truth, which wear their green politics on their sleeve, there’s a much bigger and broader tradition of films about humans and the environment, ranging from fictional films with explicit messages, like Happy Feet (2006), to films with unintentional ones, like The Fast and the Furious (2001). 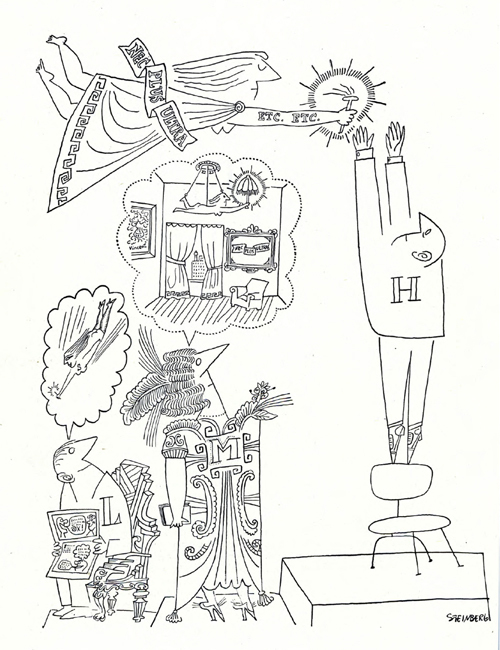 As “second-wave” practitioners of eco-criticism, Murray and Heumann aren’t much concerned with cheerleading or finding villains. They want to explore how media representations of the environment have responded to various cultural pressures. Their two most recent books are good examples. That’s All Folks? (2009), building on their analysis of Lumber Jerks in their first book, concentrates on American animated features. They perform careful symptomatic readings while also providing industrial context, such as the tactics by which Lucas and Spielberg adapted to the growing dinosaur craze of the 1990s. 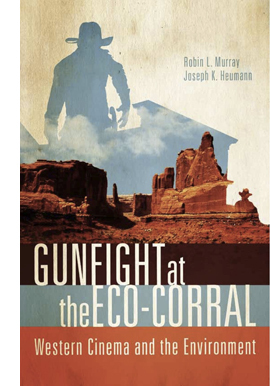 In Gunfight at the Eco-Corral (2012), Murray and Heumann tackle the Westerm on similar grounds, ranging from Shane and Sea of Grass to There Will Be Blood and Rango. Reading these chapters I was reminded how often the genre’s plots hinge on disputes over natural resources. 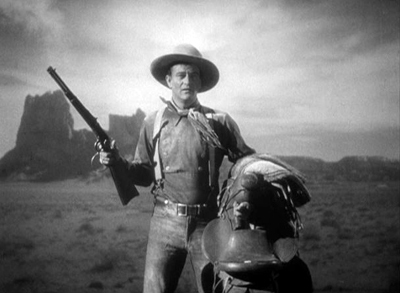 Water, minerals, timber, grazing land, and what the authors call “transcontinental technologies” like the telegraph and the railroad are at the heart of classic Westerns, and the genre’s formulaic conflicts often have strong ecological resonance. This is the sort of criticism that refreshes your vision of movies you think know very well. Their next book, Film and Everyday Eco-disasters is due out in June. Finally, two more books merging theory and practice—but from opposite ends of the spectrum. One question that intrigues me involves coherence and cohesion in film. Roughly speaking, coherence involves the way the whole movie hangs together. If it’s a narrative film, how do the scenes or sequences fit into the larger plot? If it’s not narrative, what other principles organize the whole shebang? Cohesion involves how adjacent parts fit together—shot against shot, sequence to sequence. Both these concepts have practical implications, since every filmmaker confronts concrete choices about them in scripting, shooting, and editing. 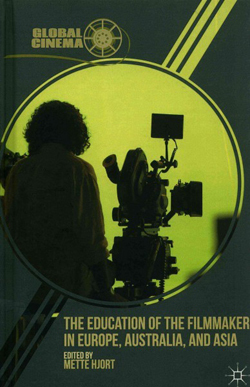 Michael Wiese has contributed enormously to our understanding of filmmaking practice by publishing a series of books on cinema craft. The most recent one I know is by Jeffrey Michael Bays and it bears directly on cohesion. It’s called Between the Scenes: What Every Film Director, Writer, and Editor Should Know about Scene Transitions. Bays himself has written and directed films, written radio dramas (a great place to study transitions), and published books on filmmaking. Between the Scenes is an entertaining and damn near exhaustive account of the ways that images and sounds can tie one scene to another. Bays considers aspects of space, like location or objects or actors; time; and visual graphics. The book also shows how sounds can bind scenes or emphasize sharp contrasts. In the example from Lone Survivor above, a soft whir of helicopter blades is heard over the first shot and grows louder when we move from the map to the landing area. In a web essay called “The Hook” I explored some aspects of this process, but Bays goes into much more detail with many recent examples. He also raises ideas I never considered. For example, if we think of narratives as people traveling from one place to another (and most narratives are that, at least), then every filmmaker faces a choice: Show the journey or don’t show it. And if you show it, what parts and why and what does it tell us about the character? The larger point is: “Make sure you know where every character goes between every scene.” Thinking about this suggests ways to enrich your presentation, and it allows the characters—if only in your imagination—to inhabit a more fleshed-out world. Ideas like this can provoke everyone, filmmakers and film scholars alike. 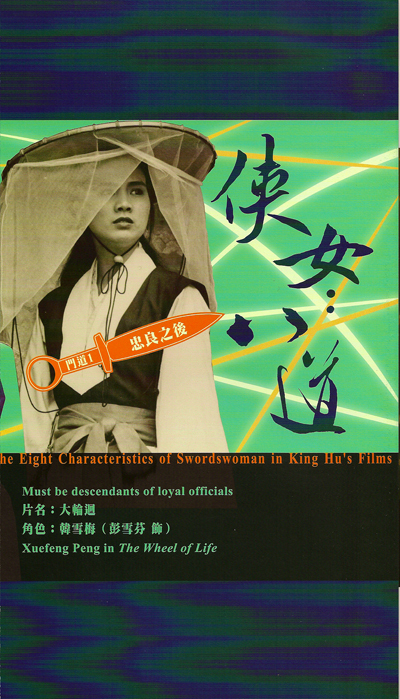 Small-scale links between parts are considered more theoretically in Chiao-I Tseng’s Cohesion in Film: Tracking Film Elements. Trained in functionalist linguistics, Tseng brought her expertise to bear on film analysis. The results show a remarkable kinship between devices in language and certain cinematic transitions. Such linguistic functions as saliency (what stands out) and presumption (what can be taken for granted) are found in audiovisual texts too. For example, a shot taken over one character’s should tends to lessen that character’s saliency and make another character, the one we see more clearly, more prominent. This example is simple, but once Chiao-I gets going, she’s able to show how nearly every cut or camera movement can be seen as activating a unique tissue of cohesion devices. The words in a paragraph not only refer to ideas or things; they also link to other words in the paragraph and in the larger discourse. Similarly, in film, different aspects of the images and sounds stand out and adhere to one another instant by instant. Tseng’s analyses of passages in Memento, The Birds, The Third Man, and other films are accompanied by equally close studies of television commercials and educational documentaries. At the end, analysis is supplanted by synthesis, as she shows how the configurations she has pulled apart coalesce into levels that highlight characters and actions. It’s a fresh way to think about how we understand films within genres and stylistic traditions. In effect, she’s showing the fine-grained patterns that emerge from the choices every filmmaker faces. It would be fascinating to sit in on a dialogue between Bays and Tseng, for they belong to the same community, or so I think anyhow. 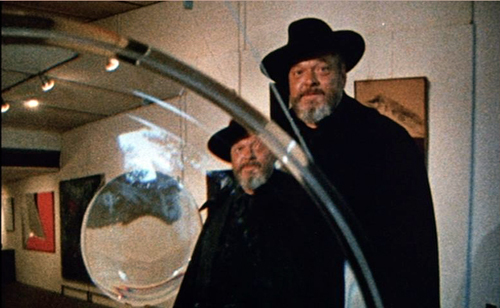 We’re all trying to understand aspects of cinema, and by focusing on certain phenomena rather closely, we have a good chance to understand them better. So to the filmmaker who’s skeptical of theory, I say: We can’t think clearly without concepts, or talk clearly without terms. We need to develop rigorous ideas and arguments (i.e., theory) to understand film as best we can. But to the would-be theorist I say: Keep fastened on the look and feel of the films, and test your ideas and arguments not only against them, but against what you can find out about the craft of cinema, in all its historical implications. I was pleasantly surprised, after I’d decided to talk about these books, to find work by Kristin and myself cited in some of them. Remaining coldly objective, however, I didn’t let these mentions diminish my praise.